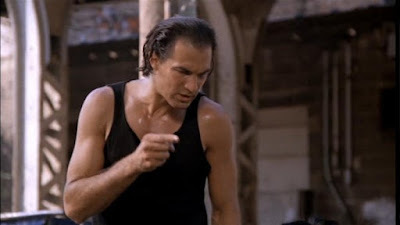 Nico Toscani (Seagal) is a Martial Arts expert who travels to Japan from his native Chicago to further hone his skills. While there, he’s recruited by the CIA and sent to Vietnam to work Special Ops. 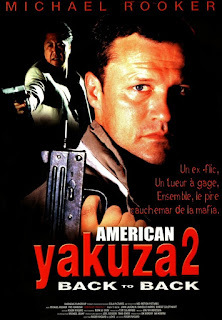 While in ‘Nam, he crosses paths with a sadistic torturer named Kurt Zagon (Silva). 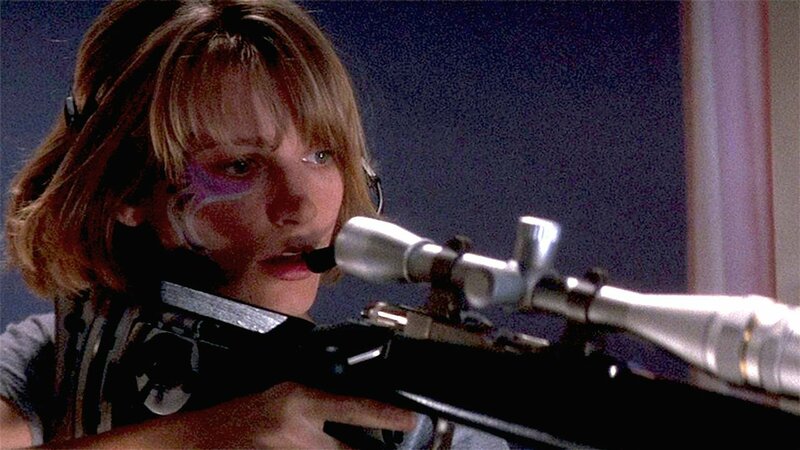 Nico becomes disillusioned with CIA life and returns to Chicago and becomes a cop. Back on his home turf, he has some very important women in his life – his wife Sara (Stone), his partner Delores “Jacks” Jackson (Grier), and also his mother and young daughter. Nico and Jacks get embroiled in a conspiracy that goes all the way to the top when a simple drug investigation becomes a high-level FBI and CIA cover-up…and that necessitates the sinister return of Zagon. 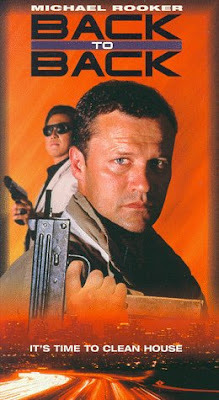 When Nico is forced to turn in his badge and gun in order to get to the truth, he’s forced to go ABOVE THE LAW. Above the Law is the one and only 80’s Seagal, so we might as well bask in the glory of that moment. The sax on the soundtrack, classic computers, giant cars, and general lack of political correctness all help to add 80’s flair to this fine cop drama. Seagal made an impressive debut as Nico – he had serious fighting moves, he was in great shape, and he even was an actor back then. Having co-written the story and co-produced the film with director Andrew Davis, with whom he’d later re-team for Under Siege (1992), the whole outing is serious-minded, professional, and delivers the Martial Arts/action goods. It was the 80’s, after all, and things were just better. This includes Seagal movies. Another Andrew Davis regular also appeared here and is worth noting – Joseph Kosala as Lt. Fred Strozah. He was a Chicago cop in real life, and you can absolutely tell. His authenticity stands out, as does his thick Chicago accent (you think at any moment George Wendt is going to show up and they’re going to have an in-depth discussion about “Da Bears”). He worked as a technical advisor as well, and we wanted to shine a spotlight on him. Sadly, he passed away in 2015, but his work on screen preserves his legacy. In other cast news, we have fan favorite Pam Grier as Nico’s parter, which was an inspired casting choice. Thalmus Rasulala – Blacula himself - plays a small role as well, bringing back memories of 70’s Blaxploitation actioners such as Truck Turner (1974). Sharon Stone’s role is small, and fan favorite Michael Rooker has a blink-and-you’ll-miss-him role as “Man in Bar”, but it all adds to the fun. 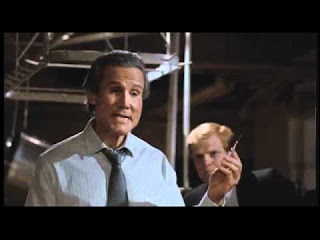 Of course, the great Henry Silva is the main baddie, just as he was in previous Davis film Code of Silence (1985) – both Above the Law and Code of Silence have other things in common as well, plotwise – though it must be said his final exit in the film The Hard Way (1989) might be impossible to top. 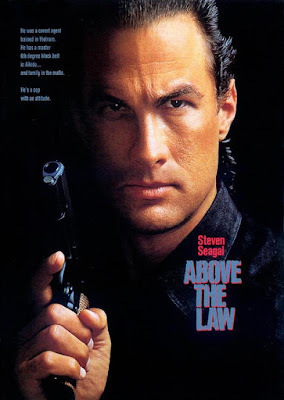 In all, Above the Law takes us back to a time when Seagal had a bright future ahead of him, action movies were beloved by all and went to the movie theater, cop dramas were tough, and movies weren’t wussy and/or tinted blue or green like they are today. 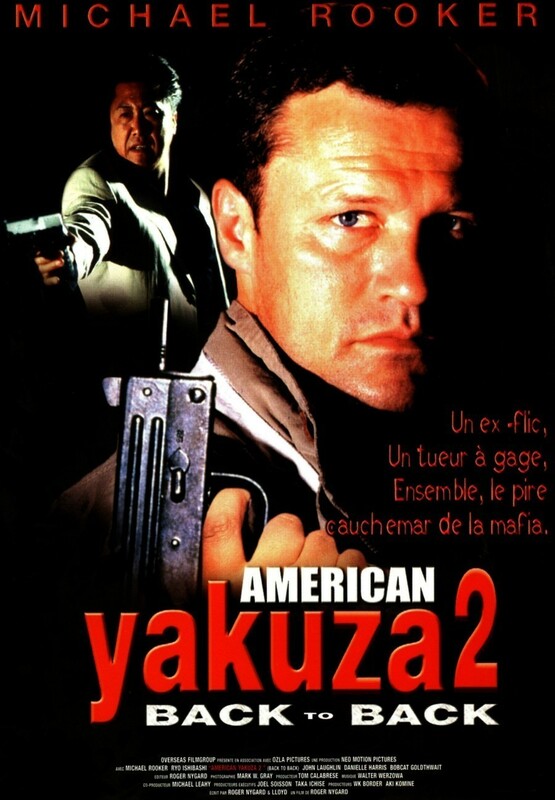 You’ll surely be entertained by this classic of Seagal Cinema.